If you've read or watched Happiest Baby on the Block, then you know that one of the keys to settling an infant and keeping the moro reflex from waking him is to swaddle. We tried every option we had in the house to get him to settle when he was fussy in that first week, with varying success, until finally getting into a routine. Our son was born at 7lb 3oz, skinny and long. We tested these options between 6lb 15oz and about 9lb. His narrow frame is a bit more challenging to fit snuggly, but overall there are a lot of options that are working for us. At 4 weeks, he's comfortably sleeping swaddled every night in the Summer Infant SwaddleMe, mostly because we have three of them, and every now and then we rotate another option in. Currently, it being -20 Celsius outside, we put him to sleep in two cotton sleepers, and then put the swaddle on top of that. The Summer Infant SwaddleMe is our go to option, as it fits the most snuggly and is the easiest to take on and off. 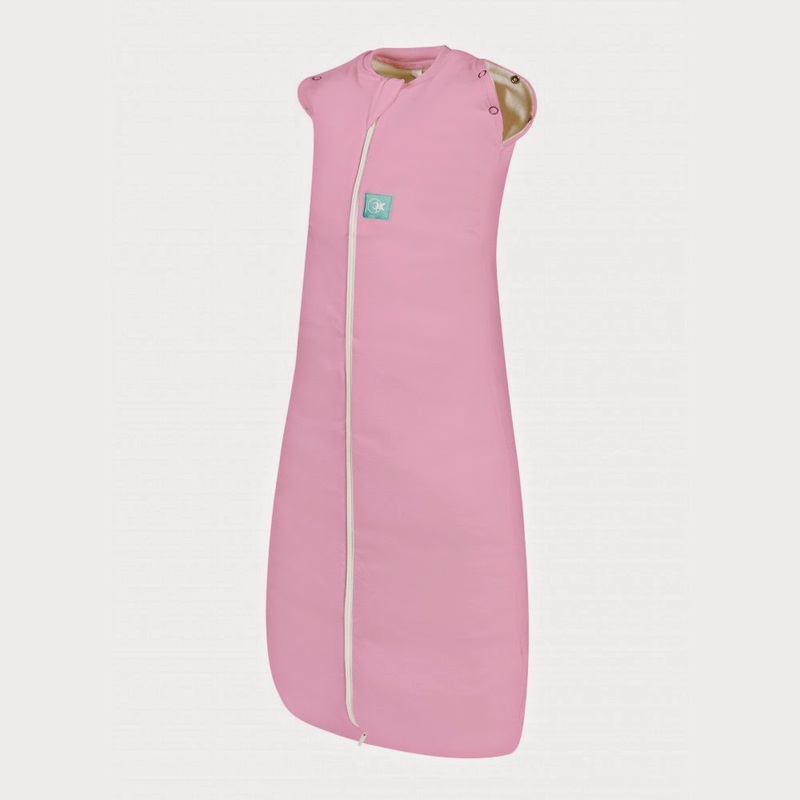 The major difference with the Halo SleepSack Swaddle is that it has an inner layer that you put on your baby, with arm holes and a zipper to close, prior to swaddling. I think this would be really great in the summer when you don't need an extra sleeper underneath, but in the winter I find the extra arm holes to be rather annoying when dressing him. Size-wise, even though it says it will fit 6lbs - 12lbs, I find it to be made much larger than the Summer Infant SwaddleMe. The wrap around swaddling part is too wide and also too long for our baby, and as a result it can't nicely be tucked in under his back and makes for an uncomfortable bulge underneath him. Now that he's 9lbs 8oz and 54cm long it fits a bit more nicely, but the swaddle is still too wide for him yet he's almost outgrown the length. The major pro for this option is the upside down zipper which, in theory, enables you to change the diaper without taking it off. However, I find the swaddle to be made quite wide, so unless you have a baby with short legs and a long torso, the swaddle overlaps with the diaper so we need to end up unswaddling him. Here I am changing his diaper in the middle of night without unswaddling, doable but really not well designed for it. Note that HALO makes a Preemie size, and the online reviews for this swaddle pretty consistently say that Newborn size is too big, so I'd highly recommend getting the Preemie size if you're anticipating a small to average-sized baby. 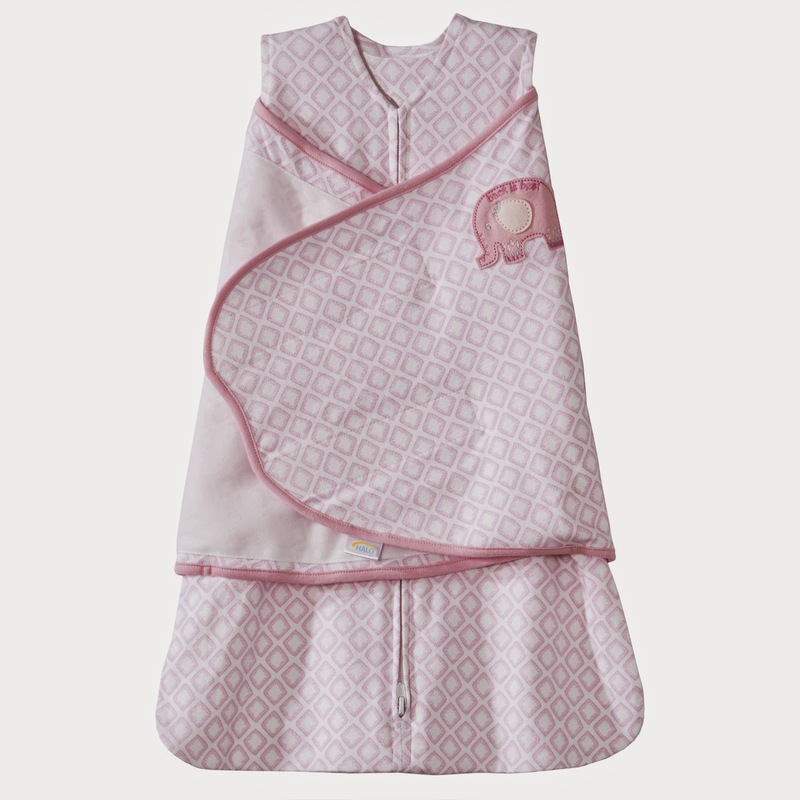 The Miracle Blanket is made for magician babies, that can break out of everything. 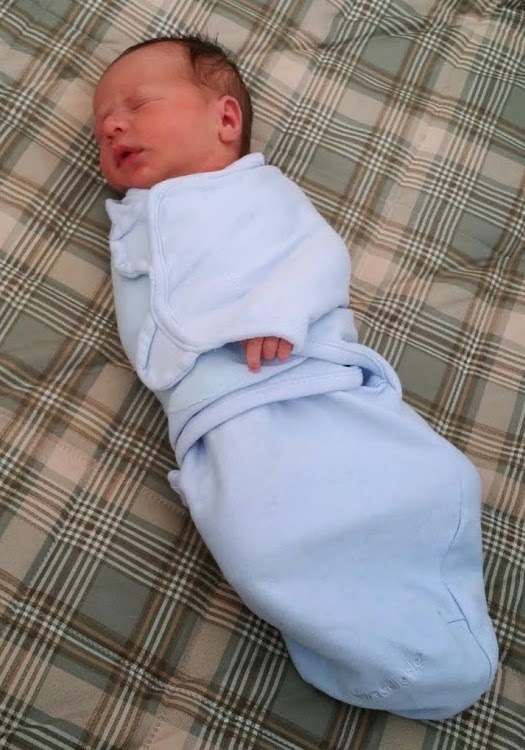 Even in the first week when we were completely new to swaddling and it seemed our baby could break out of every swaddle, he couldn't get out of this one. It also pins his arms to his side so he can't move them to the front or anywhere once he's locked in. Ultimately, this option is preferable if you prefer something quieter, as it doesn't use velcro, and you need something your baby is guaranteed not to escape! I was really excited to try the Ergococoon Swaddle and Sleep Bag as I thought it'd be the miraculous easy solution to late night diaper changes with its 2-way zipper. It has the softest fabric of all the options, and we have the slightly warmer autumn/spring option which allows us to put just a cotton sleeper underneath. Unfortunately, there's no way to tighten it around the arms, so our little guy was able to move his hands all of the way up to his face while wearing it. I received many recommendations for this one, so if your baby moves his arms around less and you only need to prevent the moro reflex from kicking in, this could be the option for you. Unfortunately, I don't think we'll be able to use this again until we take his arms out. 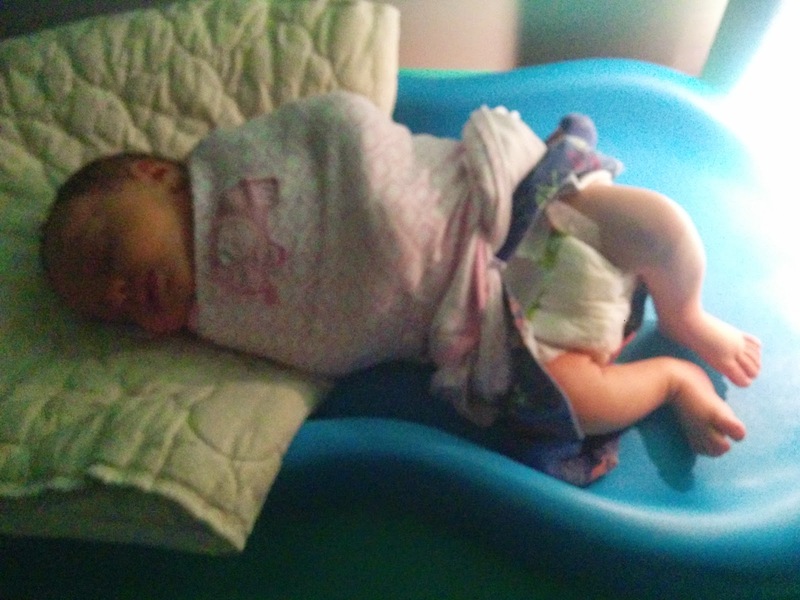 The Summer Infant Muslin Blanket is designed to be used as a swaddle, but it requires some practice to successfully use. These blankets are soft, and the colours are brilliant, so we use these for a lot of things, including burping, however these have not been a good swaddling option for us as they are simply too difficult to tie tightly. Our little guy was able to escape these every time, and I didn't feel comfortable leaving him swaddled overnight in them because of it. At 40”x40”, these blankets are larger than receiving blankets, but not quite as large as the Aden + Anais muslin swaddling blankets. 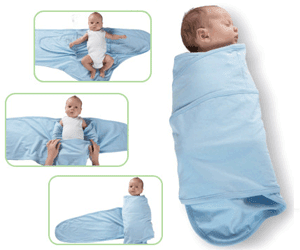 They are stretchable, which we found made it more difficult to swaddle tightly. 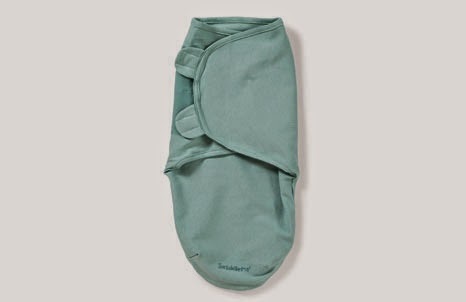 They are also nice and breathable, so these would be great as a summer swaddling option. The Aden + Anais Cotton Muslin Swaddles are by far my favourite of the muslin blankets we own. They are the largest we've found, at 47”x47”, so we had a bit more success swaddling with them than with the Summer Infant Muslin Blankets. I've use them to keep baby warm and to protect myself from spit up when nursing. The gentle colours make great back drops for brilliant pictures as well. I didn't actually get to try the Ergobaby Swaddler, but when researching which swaddle to buy next, I stumbled upon it and wish I had found it sooner! It is designed for easy diaper access in the middle of the night, and beyond that also allows for hands to be swaddled up as opposed to by baby's side. Definitely worth researching if you're looking for an optimal swaddle.